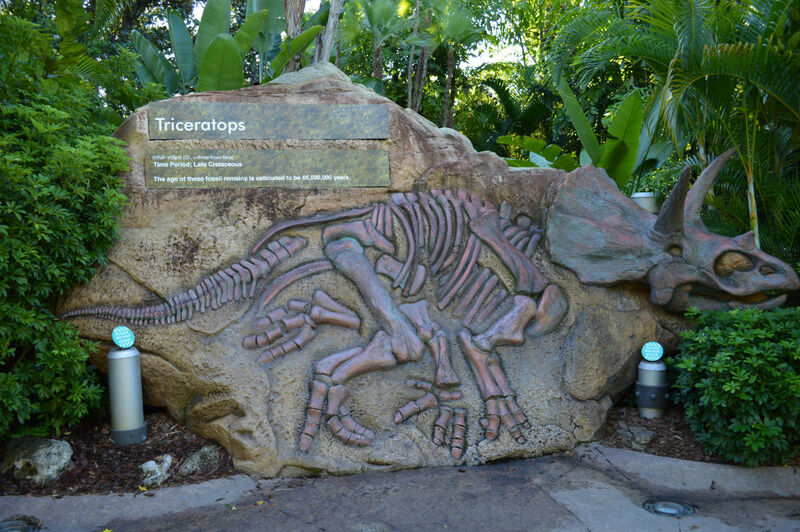 While walking through CityWalk on our way to the parks, the first thing we noticed was that the Endangered Species store has already become extinct. 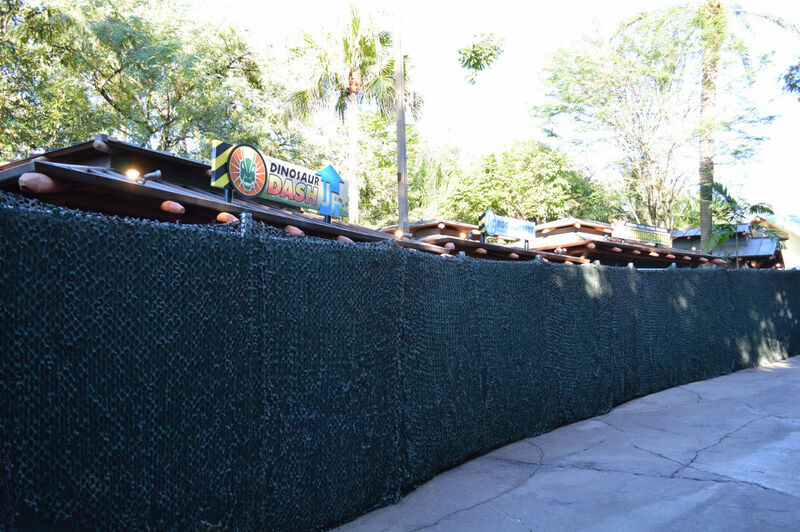 Construction walls are set up outside and the place has been gutted. This area now joins the old Pastamore Market counter service location and Latin Quarter as locations being completely remodeled. 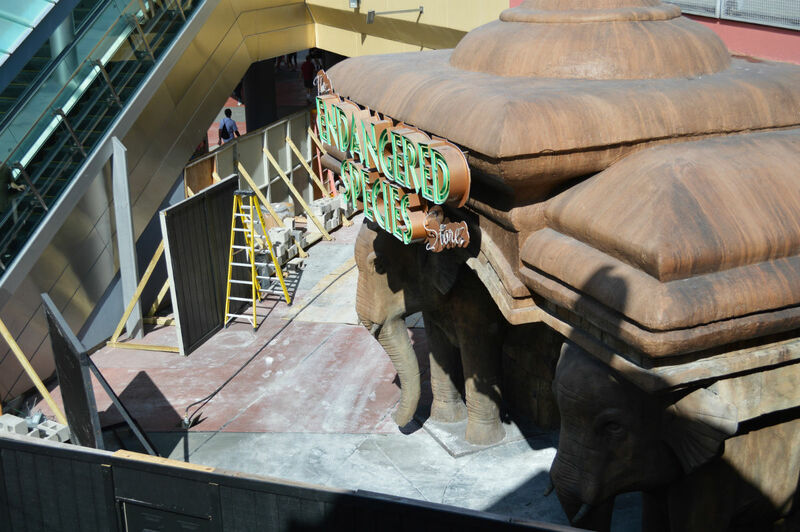 Word is the Endangered Species space will be used for Starbucks (which would move from the second level of CityWalk), the Pastamore location will become a new Red Oven brick oven pizza place, and Latin Quarter is rumored to be a new Mexican-themed dining restaurant. 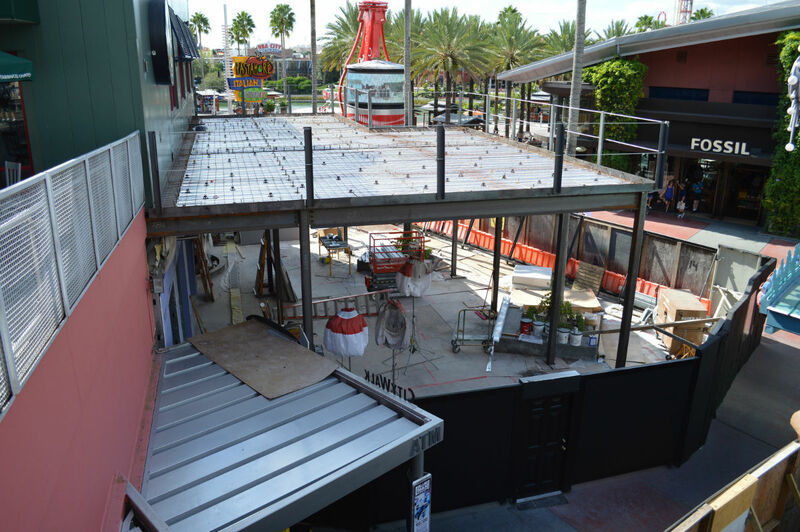 You can see in this picture that new Red Oven dining location will have a much needed covered outdoor seating area. 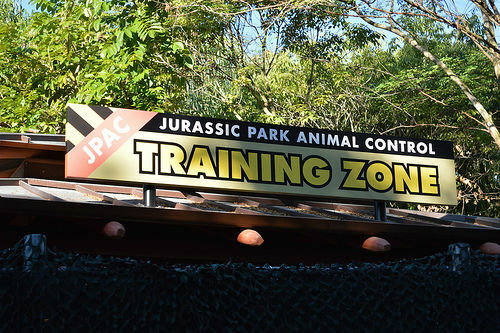 Our journey begins in Islands of Adventure, and over in Jurassic Park it looks like the new Midway Games are getting ready to go live. Here’s a better view of the individual games. 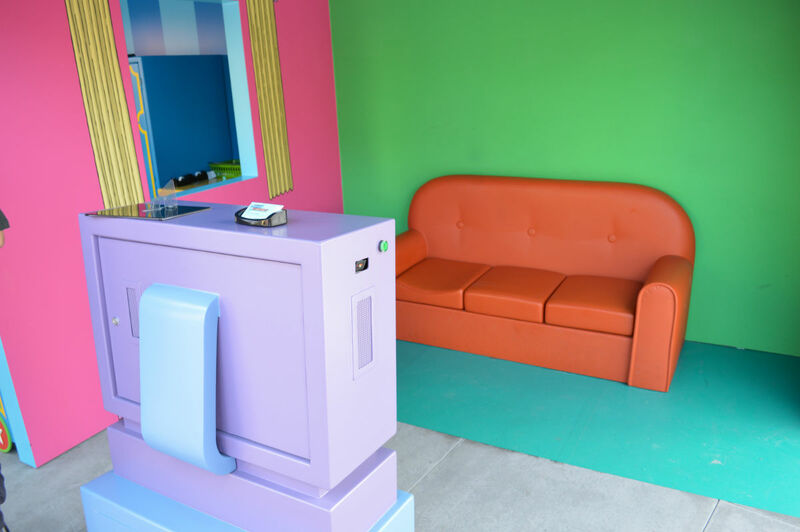 There are a lot of detractors for midway games in the theme parks, but these definitely look to be on the higher end like the well themed ones in Springfield USA. Not only does the Springfield area have games tied into the Simpsons universe, it offers many prizes that you can’t buy anywhere, such as a Spider-Pig or a large Sideshow Bob character plush. 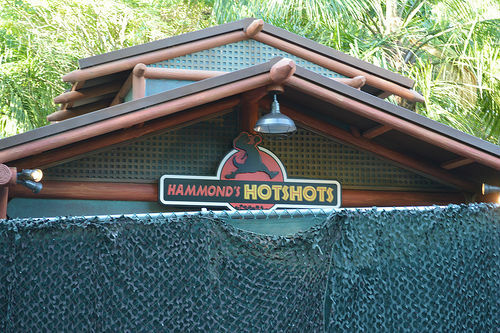 If these Jurassic Park games offer similar overall theming and cool prizes, expect them to popular. 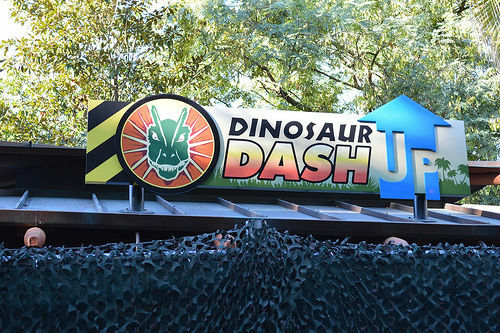 Regardless, this area already a major improvement over the similar games in Toon Lagoon and the Lost Continent. 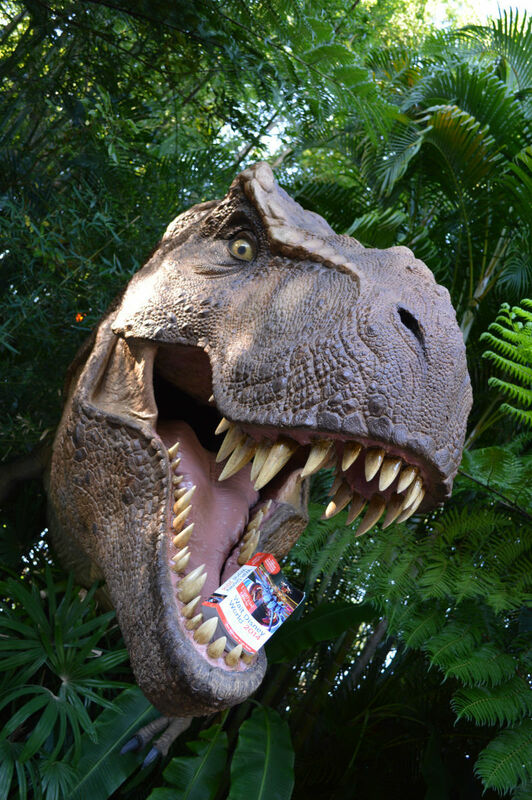 Before we left Jurassic Park, we’d figure we would have a little fun with The Unofficial Guide 2014. 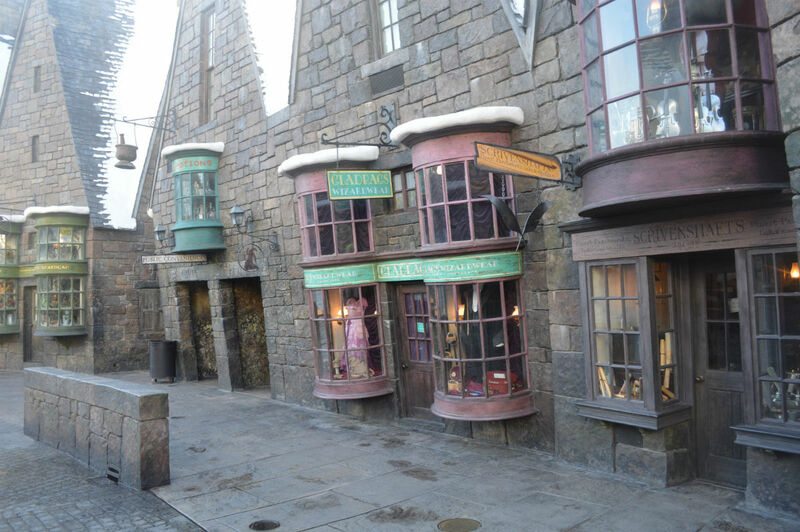 Made a quick stop into the Wizarding World of Harry Potter and seeing these rows of shops reminded me of the article Adam Roth wrote titled – Details are Universal: Window Shopping in Hogsmeade. Check that one out when you get a chance. 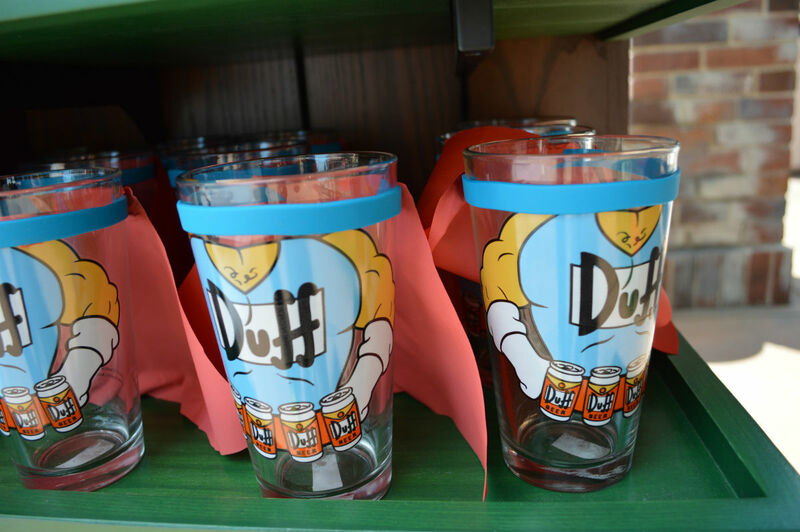 We walked over to Universal Studios Florida and noticed there is a new Duffman glass available in Springfield USA. It’s $14.95 and while it doesn’t say specifically that it is not dishwasher safe, I can’t imagine it is. I’m a big a fan of Duffman as anyone but I’m not saying, “Oh yeah!” to this one. It’s actually kind of weird. 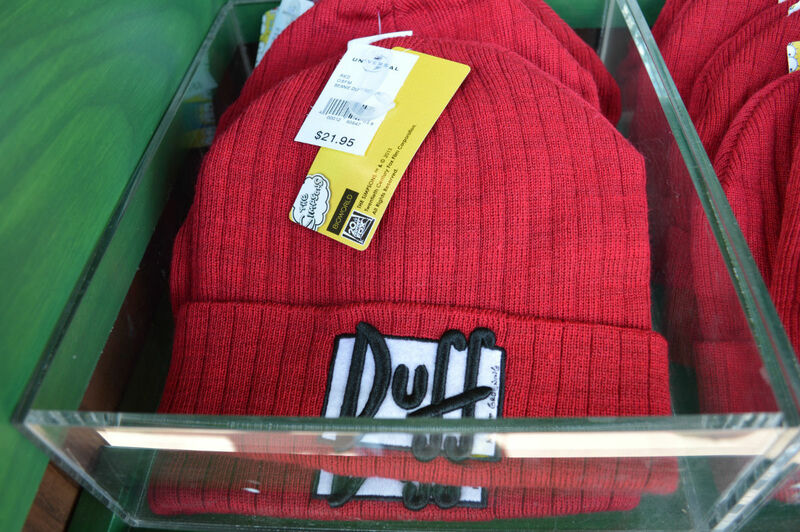 Haven’t noticed this Duff beanies before. Big fan. 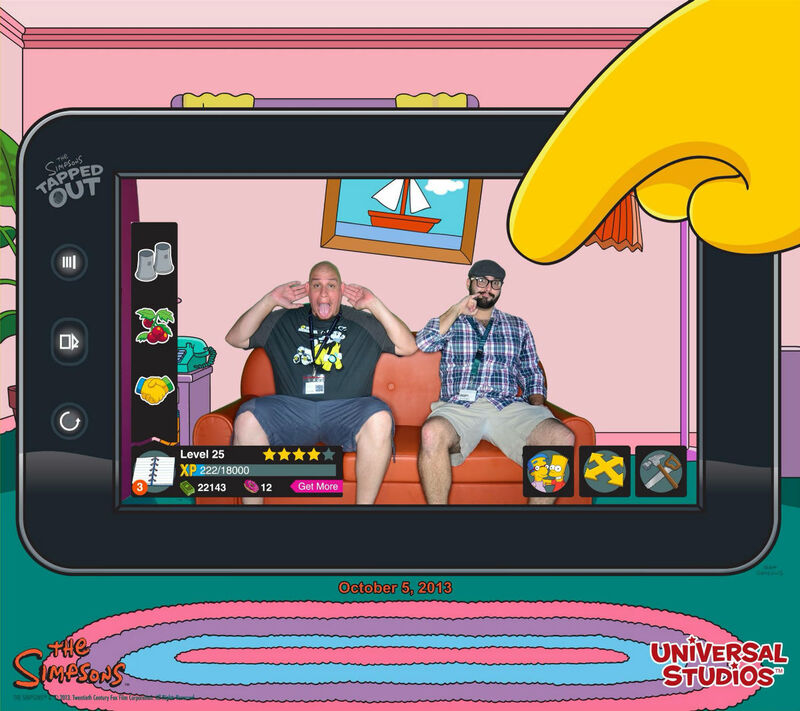 While in Springfield we decided to check out the new Photo Connect area that allows you to do your own Couch Gag from the Simpsons television show. 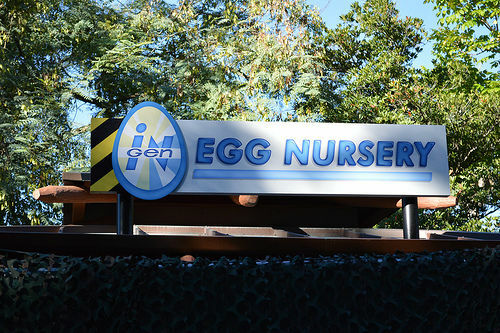 This area is located directly across from The Simpsons Ride. The couch you sit on is actually pretty hard. 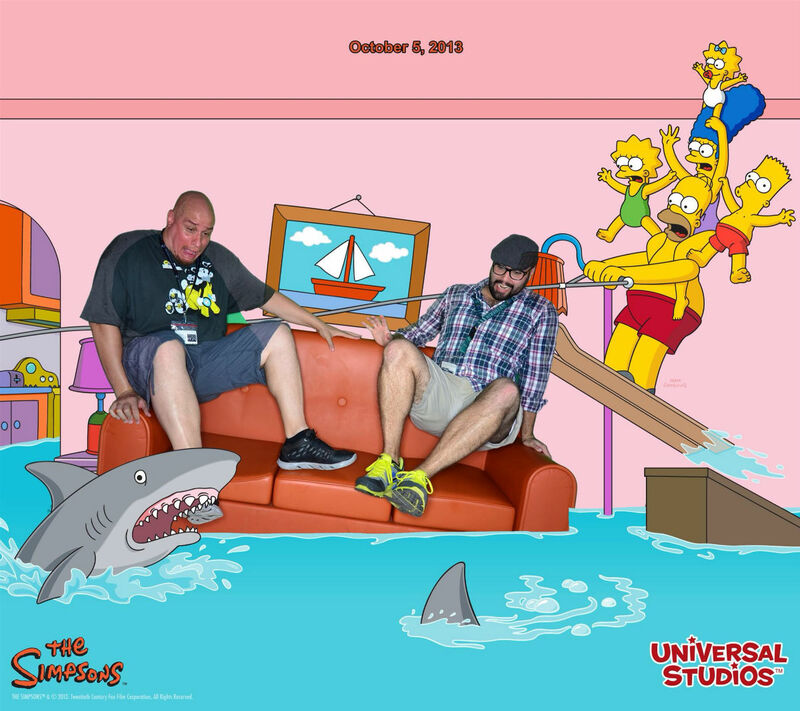 The camera operator tells you to pose for a certain type of picture, and adds in the special effects when you are all done. 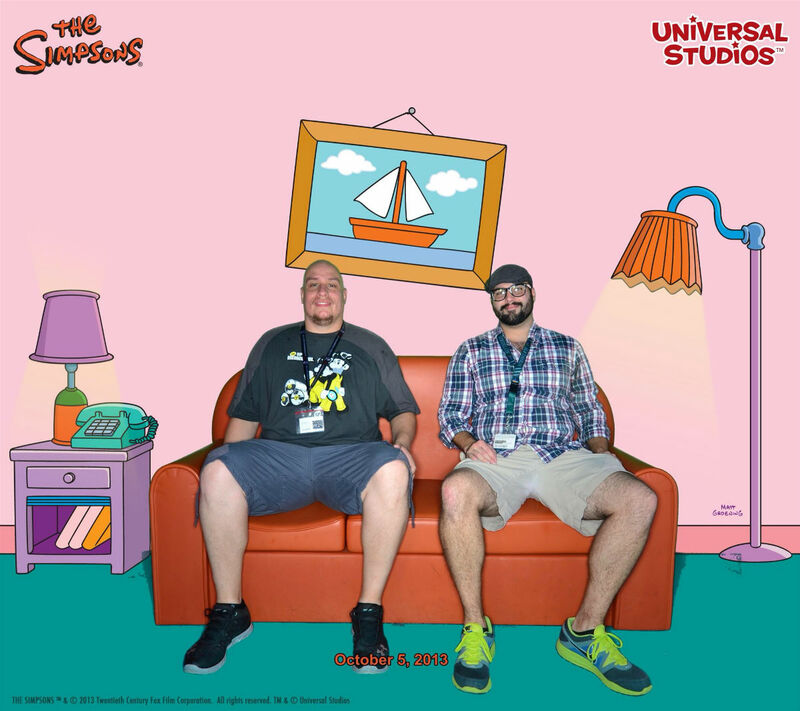 Special thanks to Universal NOW’s Brandon Glover as well as semi-pro basketball player Zeus Navarro for being willing models for this new photo-op. The first picture is the standard couch shot. Speaking of sharks, we then went to Chez Alcatraz to get something to eat and found out this place was a true hidden gem. 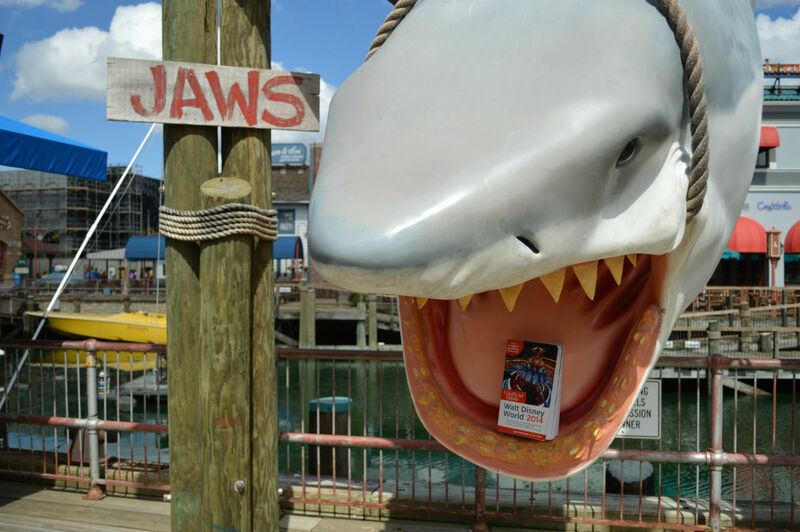 It’s located directly next to the Jaws photo op and has a full bar and limited menu (it’s great for lunch). 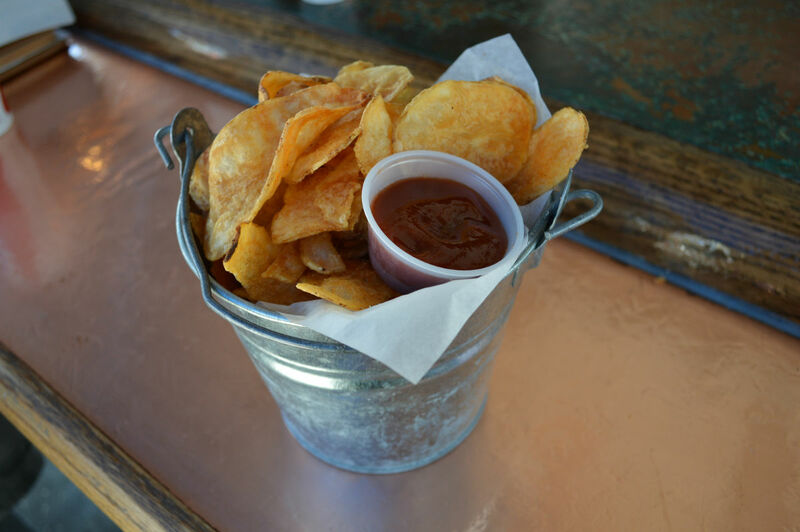 We got the Bucket of Chips, which for $3.99 was an INCREDIBLE deal. The chipotle ketchup it came with was also tasty. A touch of Tabasco really adds a lot. 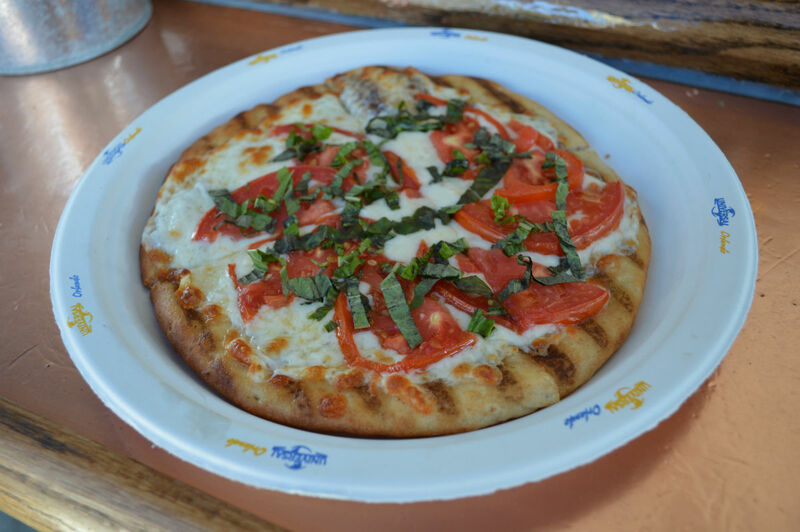 Margherita Flatbread also got a big thumbs up. $6.99 for this, and the crust was fantastic. Since we were in the area, we couldn’t resist taking this picture.. 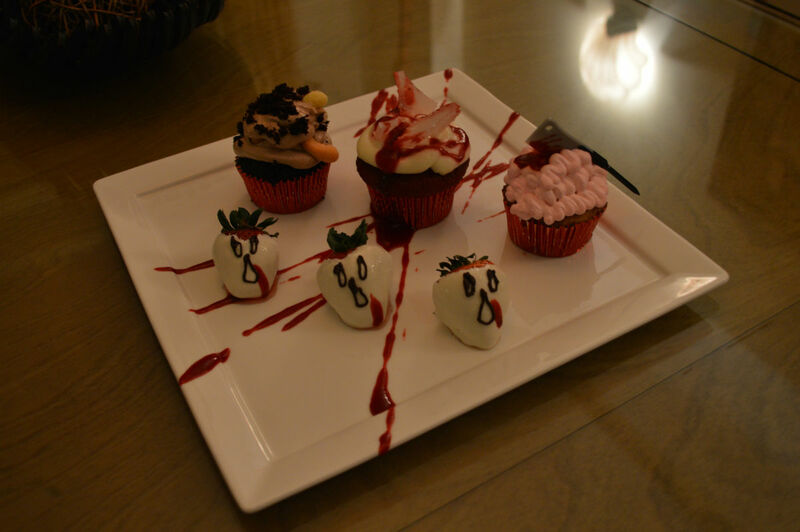 However, we needed a dessert, so we headed over to the Loews Royal Pacific Resort as we heard about some new snack options they had available during Halloween Horror Nights. 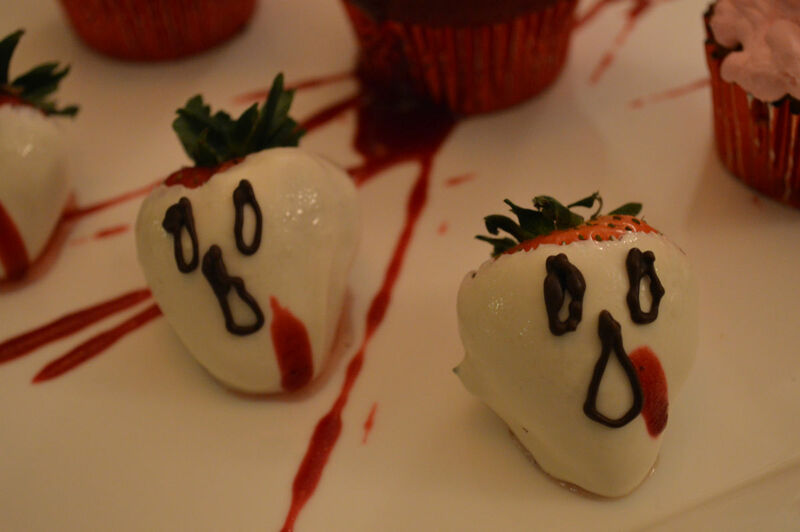 The Haunted Berries come as a group of three strawberries covered in white chocolate. This might be my favorite fruit of all time. Meanwhile the cupcakes also come in as a three pack called The Cupcake Slaughter. 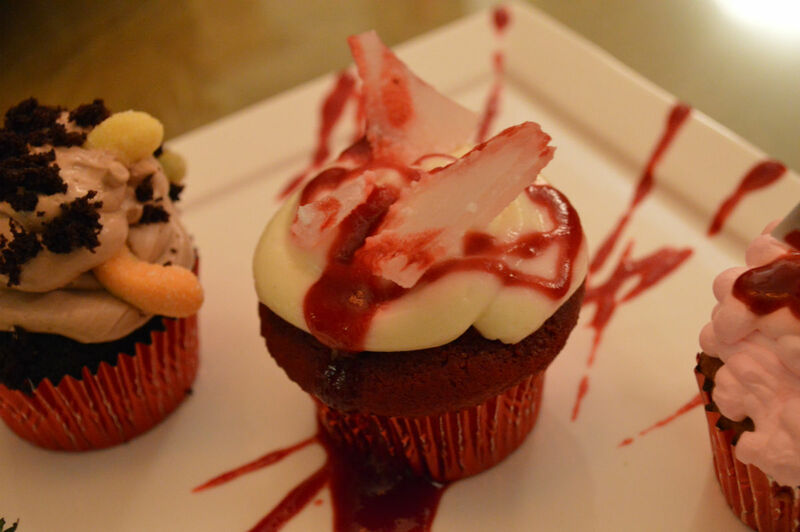 These include the Cannibal Cupcake, the Graveyard Cupcake, and the Shattered Cupcake. Pretty much the coolest desserts I have ever had. That’s it for today. 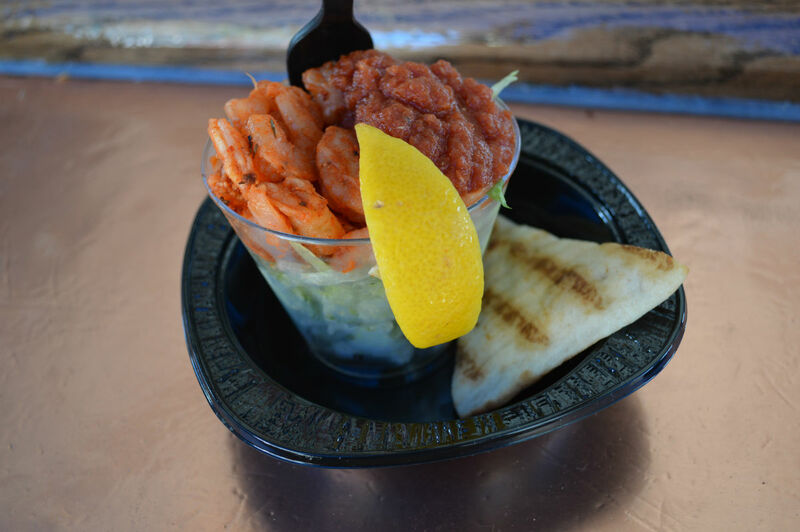 See you this weekend when The SATURDAY SIX takes a look at the top six snacks at Halloween Horror Nights 23.